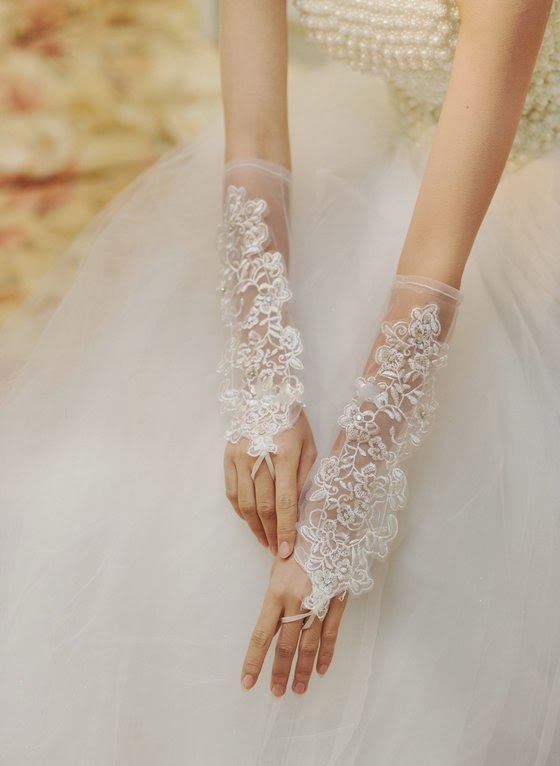 With all of the passion for vintage wedding details in recent years, it should come as no surprise that gloves are making a comeback for brides. 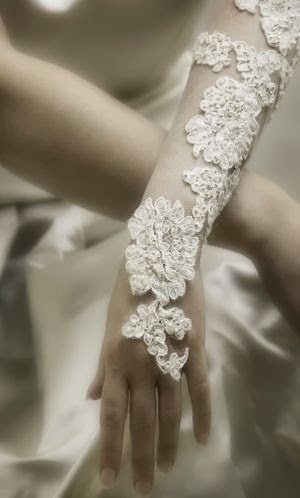 There are quite a few types of bridal gloves, and they can convey any style, from vintage to modern to classic. Learn how to choose the perfect pair of gloves to complete your wedding dress. One of the most delightful types of glove is the short vintage lace or netting mitt. They usually come to the wrist bone or just above, and exude garden party charm. Since genuine vintage gloves are likely to be on the small side, you will probably need to find a new pair done in an antique style. Pair this accessory with a flowy 1920s style chiffon bridal gown in a tea stained or blush hue. Sometimes the mitts made from netting are embellished with tiny seed pearls, which is a delightful detail if you plan to wear pearl bridal jewelry. Dainty vintage style gloves call for petite bouquets, such as a lily-of-the-valley posy. The bride with a classic sensibility will love the timeless look of long gloves worn with a strapless wedding dress. Kidskin is the most traditional material; cotton or fine silk are also nice. Just avoid cheap looking spandex gloves that go better with a prom dress than an elegant bridal gown. The length of the glove should complement both your wedding gown and the length and shape of the bride's arms. Opera length are the longest, coming up almost to the underarm. They are ideal for a very formal white tie or black tie event. The most popular length is just over the elbow. 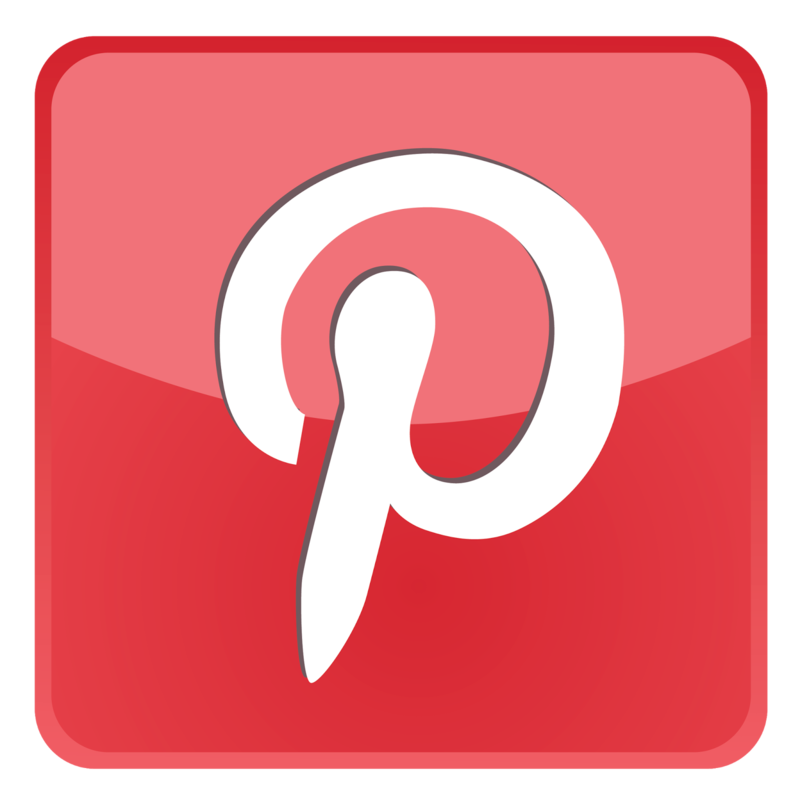 It works very well with strapless, spaghetti strap, and one shoulder dresses. Both over the elbow and opera length gloves usually have pearl buttons at the wrist to make them easier to get on. The buttons look very pretty if you will have pearl bridal jewelry, or you could have them changed out for crystal buttons for a bit of sparkle. Speaking of customization, many types of long gloves can be altered to fit by your seamstress. They can be shortened if you are a petite bride or taken in slightly for brides with slender arms. Keep in mind that gloves are not intended to fit like a second skin. It is perfectly fine for them to be a little slouchy as long as they do not fall down. While we may think of gloves as a very traditional or conservative wedding accessory, they can actually be worn in a very modern way. The most dramatic idea is to wear a pair in a strong color like black or red. This look has been cropping up on designer runways at bridal shows and it definitely makes a strong statement. These chic gloves work best with high fashion wedding gowns with an edgy haute couture style. It is a fabulous way to add a bold color to your wedding attire without actually wearing a dress that has black or red on it. And it looks great in the wedding pictures! So what do you think? 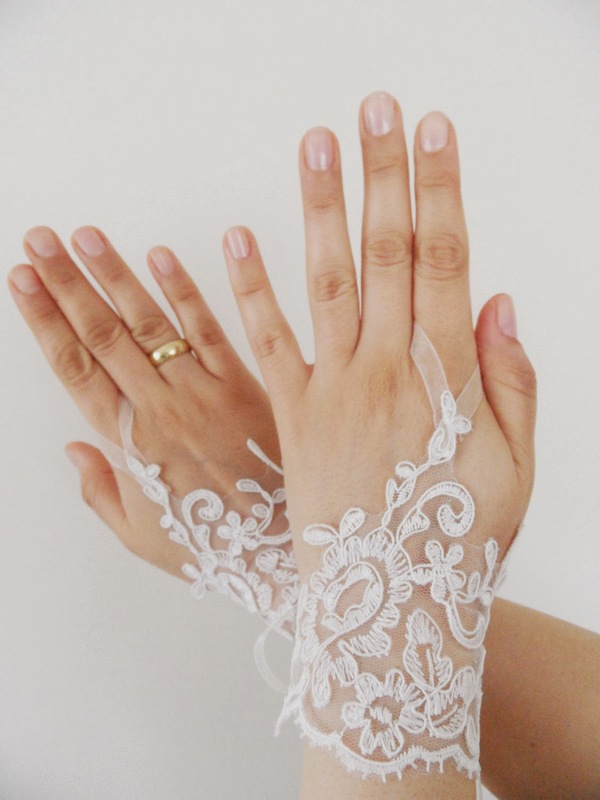 Are you ready to try on a pair of gloves with your bridal gown? You might just find that the right pair really enhances the look of your dream dress.